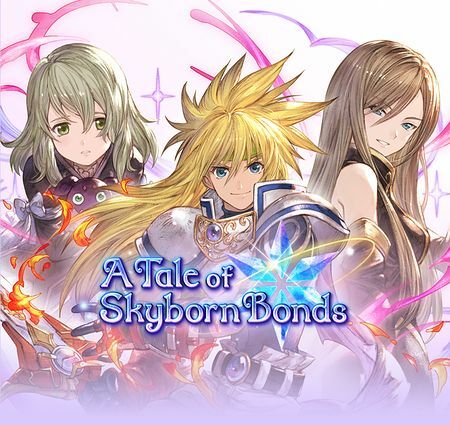 A Tale of Skyborn Bonds is a side story which became available on December 18, 2018. 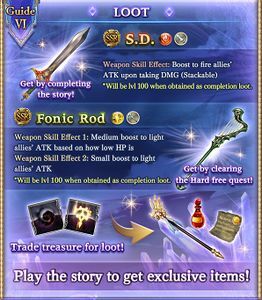 It is unlocked after completing A Tale of Intersecting Fates, the first collaboration event with the Tales of Asteria mobile game. 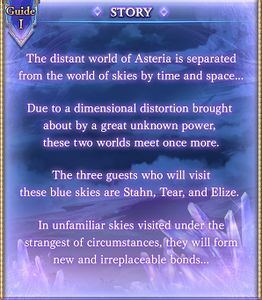 these two worlds meet once more. 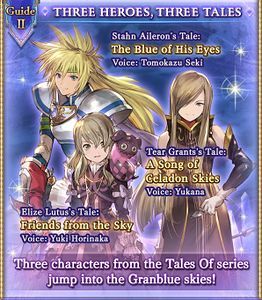 these blue skies are Stahn, Tear, and Elize. 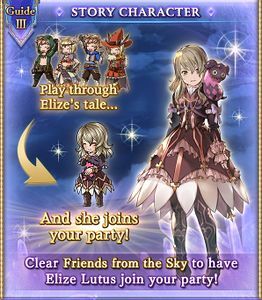 Elize Lutus is recruited by clearing her chapter, "Friends from the Sky". 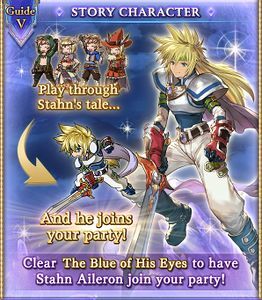 Stahn Aileron is recruited by clearing his chapter, "The Blue of His Eyes". 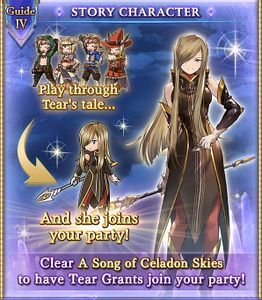 Tear Grants is recruited by clearing her chapter, "A Song of Celadon Skies".